The undergraduate program in Statistics provides students with fundamental knowledge and skills related to probability, mathematical statistics, data analysis, and statistical computing. With the recent rise of Big Data, Data Science, and Analytics, the demand for this set of skills has increased substantially. A BS in Statistics is very flexible and can lead to a career in business, industry or government. For those students intending to continue their education in Statistics beyond the BS degree, the mathematical statistics track of the major serves as good preparation. The BIGR track is appropriate for students interested in careers as applied statisticians. The Statistical Computing and Data Science track emphasizes statistical applications and requires additional coursework in computing. It prepares students for statistical work that requires computing expertise for data management, analysis, and reporting. The Mathematical Statistics track provides a solid foundation in statistical theory and applications and requires additional coursework in mathematics. The Mathematical Statistics track provides good preparation for graduate study in statistics. Much of the work in the discipline and the major is sequential, so students should begin requirements for the major as soon as possible. With this in mind, students are encouraged to take STAT:2010 and STAT:3100 early in their program. Most of the courses that can be used to fulfill the four elective courses for the three tracks require STAT:3200 and STAT:3101 as prerequisites. Thus, we recommend that majors have these courses completed by the fall semester of their junior year. You can view a flowchart of the progression of courses for the major here. 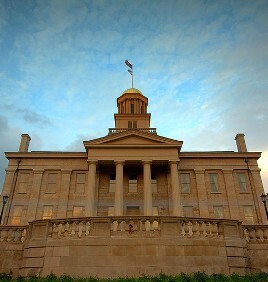 All students must meet the requirements set by the University of Iowa and the College of Liberal Arts and Sciences.